How would you rate your experience with SelectQuote ? Select Quote Insurance Services, Inc.
SelectQuote was founded in 1984 by Charan J. Singh. 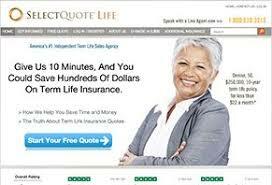 SelectQuote was the first direct- to- the- consumer life insurance broker in the US. The company began selling only life insurance. In 2011, SelectQuote began offering auto, home, and senior care insurance services. In 2016, the company reported annual revenue of $160 million. In late 2017, the company announced that founder Charan Singh was stepping down as CEO and being replaced by long-time President Tim Danker. Company headquarters are located in San Francisco, California. Question 1: What is the phone number for SelectQuote? Answer 1: The phone number for SelectQuote is (415) 543-7338. Question 2: Who is the CEO of SelectQuote? Answer 2: The CEO of SelectQuote is Tim Danker. Question 3: Who founded SelectQuote? Answer 3: SelectQuote was founded by Charan J. Singh in 1984. Want to make sure SelectQuote sees your comment or complaint?